150 g (5.3 oz) butter - soft or melted. Otherwise, you can melt the butter in a saucepan, take it off the heat, and put in the milk, when the butter is cooled of again. 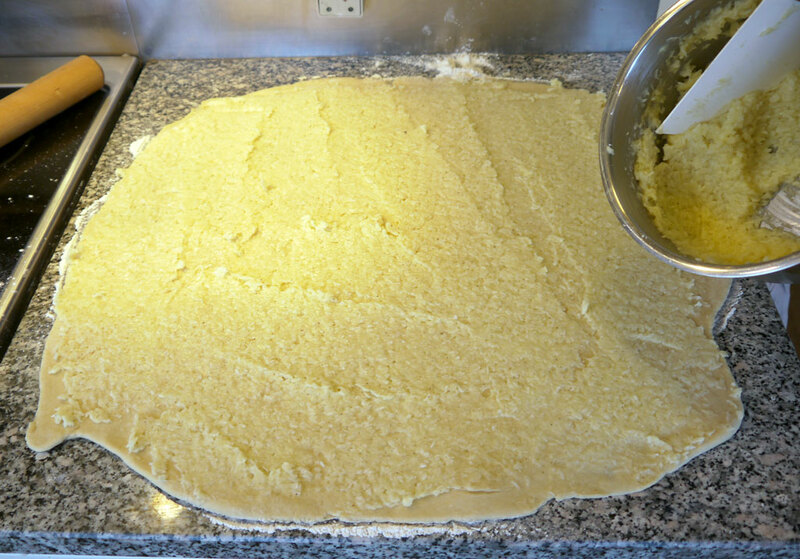 Put all the ingredients for the dough into a bowl, except the hot butter. 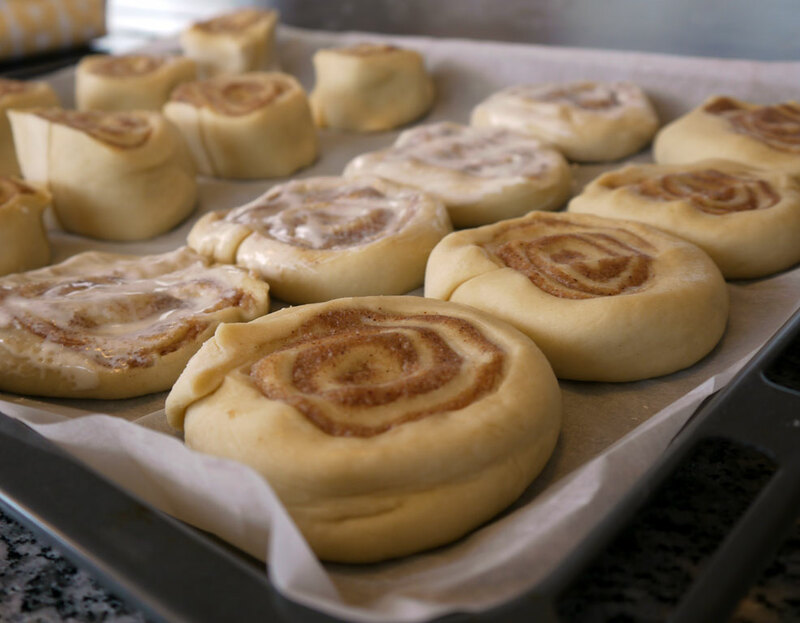 Knead it together. 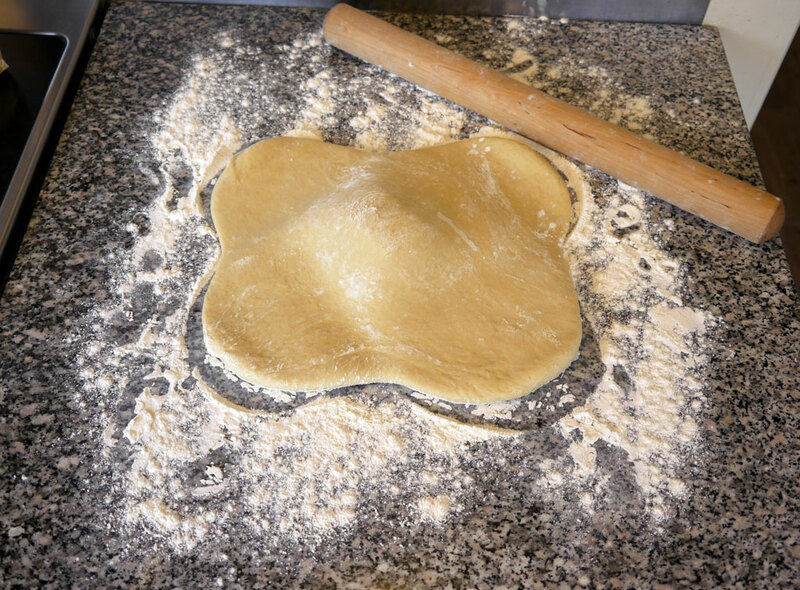 Put in the butter and keep kneading. 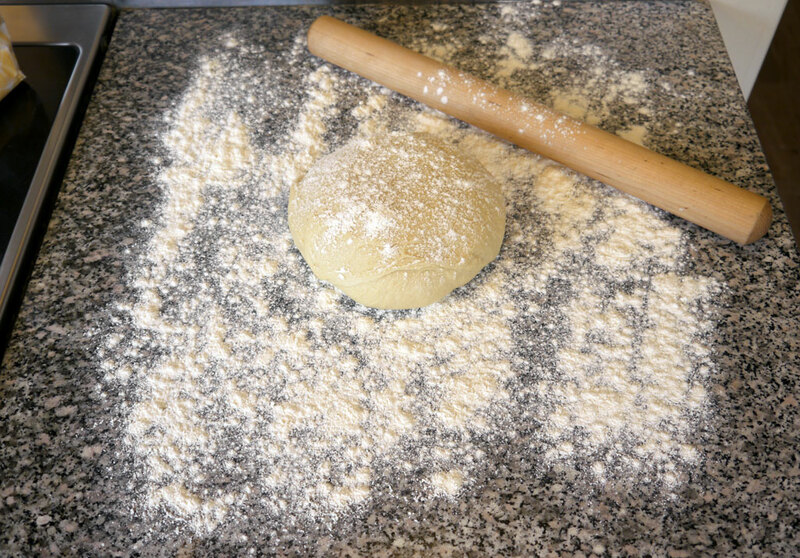 It should not be kneaded too well. Just until there are no flour lumps remaining. Typically for 3-5 minutes. 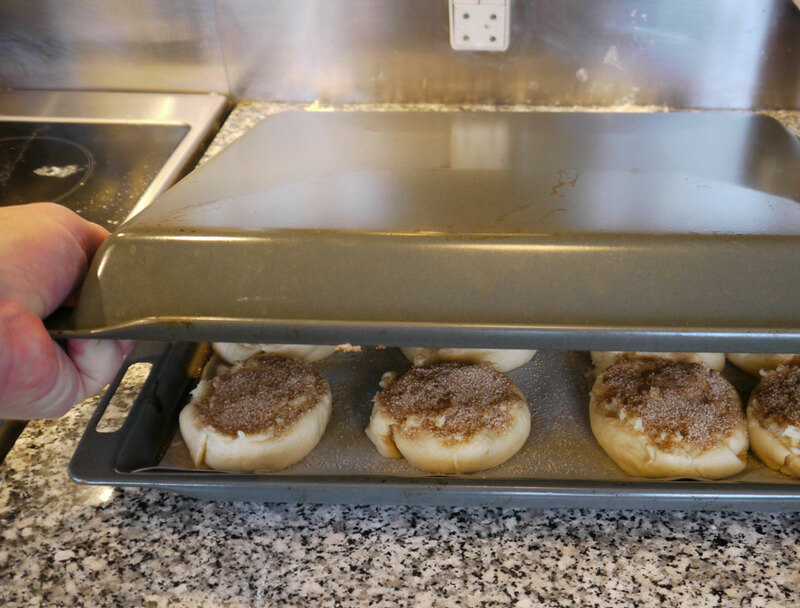 Bake at 200°C (400°F) for 15-20 minutes. Until lightly golden. 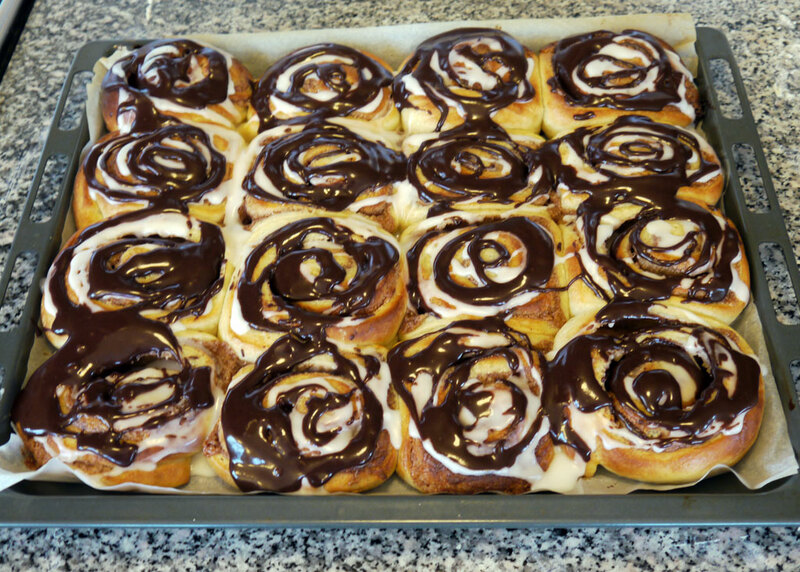 I covered these rolls with a tall roasting pan for the first ten minutes of baking, and then I baked them without a roasting pan for ten minutes more. 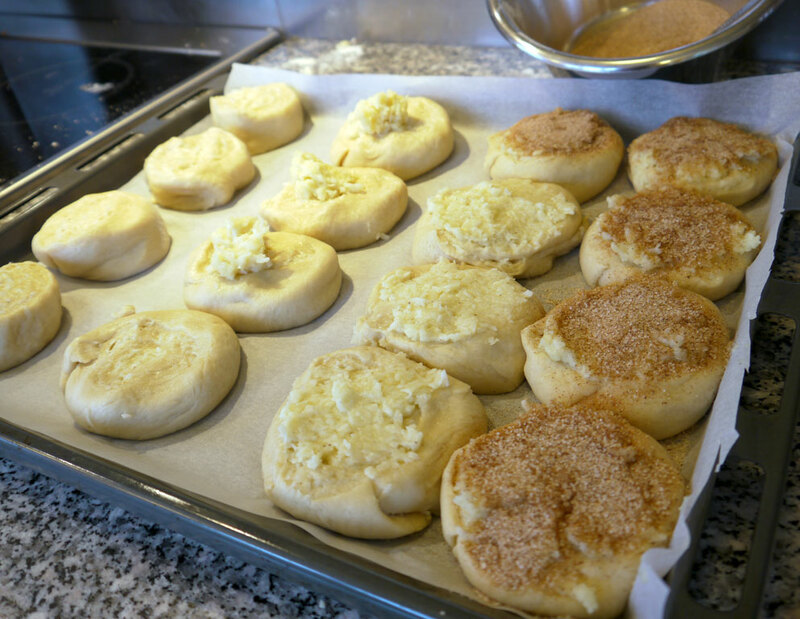 That makes them raise better in the oven, and they become more airy. They remained good for 2 days, and could be "refreshed" by 30 seconds in the microwave at day 3. 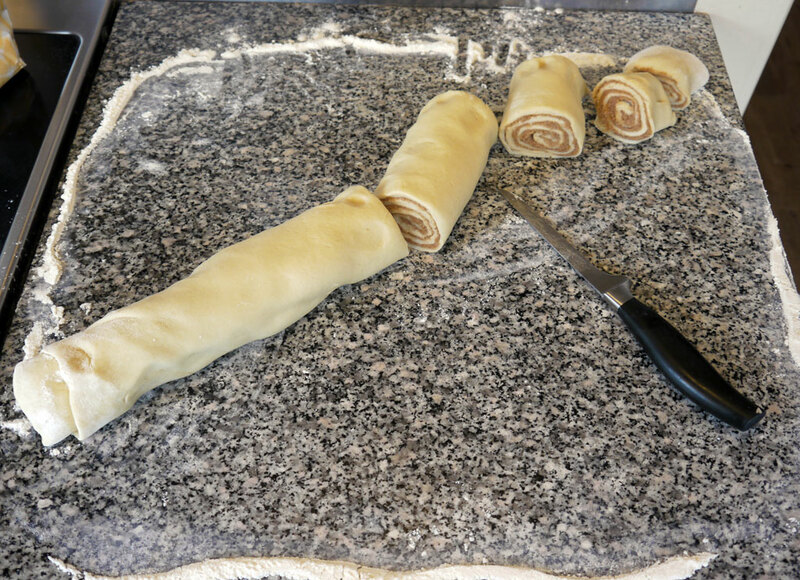 This is a great good and modern remonce that also keeps the rolls moist little longer. I mixed some cocoa into half of the icing, with a little extra water. Just go by color. I just let it run off the spoon, as I move it around in circles, to get the black / white pattern. Make the vanilla cream and add the grated coconut while it is still simmering. 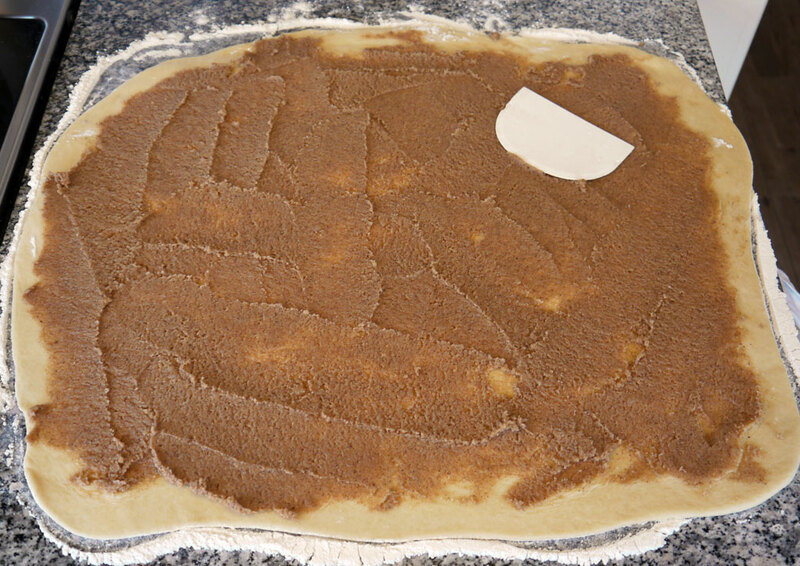 Spread the cream onto the flat rolled dough instead of remonce. You probably cannot use all of it. 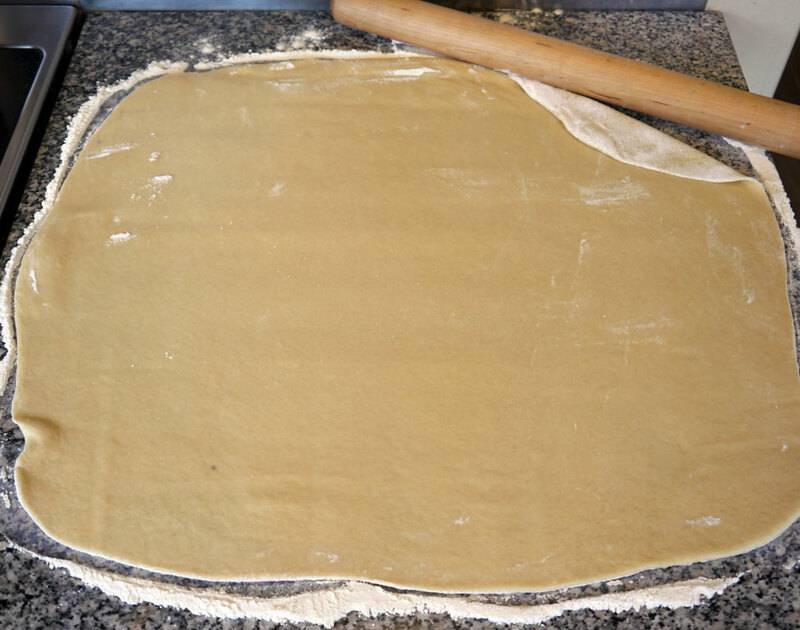 The last of it can be added on top of the rolls when they have been flattened. Then you also get some baked cream on top. Which is nice. 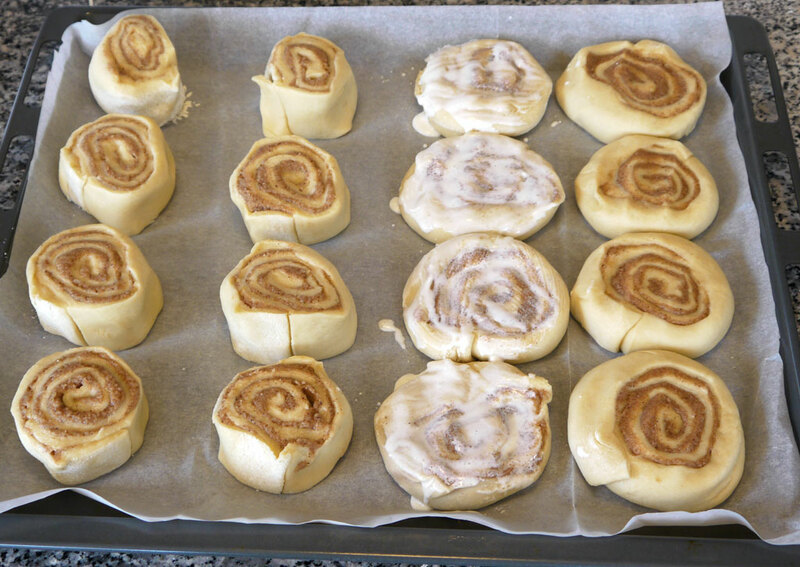 Sprinkle approximately 1 tbsp cinnamon sugar on each roll, instead of the glaze. 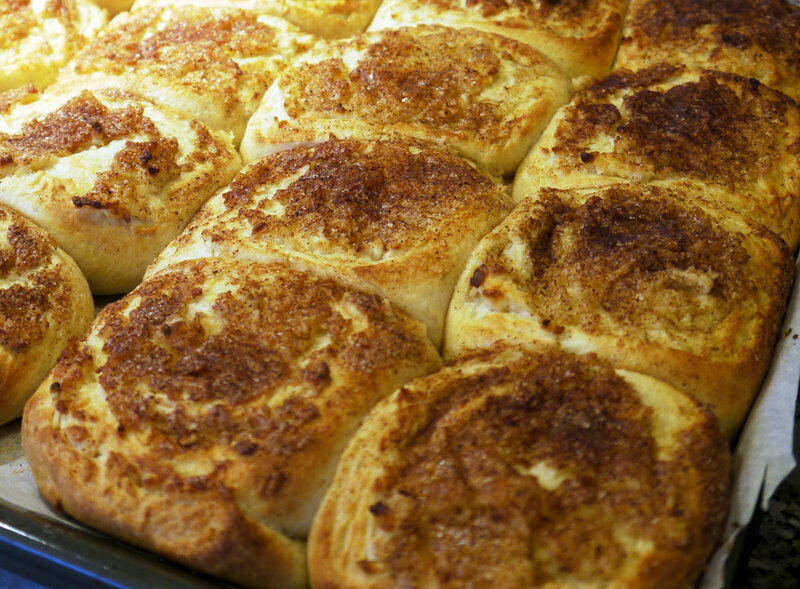 It makes for incredibly soft and spongy rolls, with coconut and cinnamon flavor. 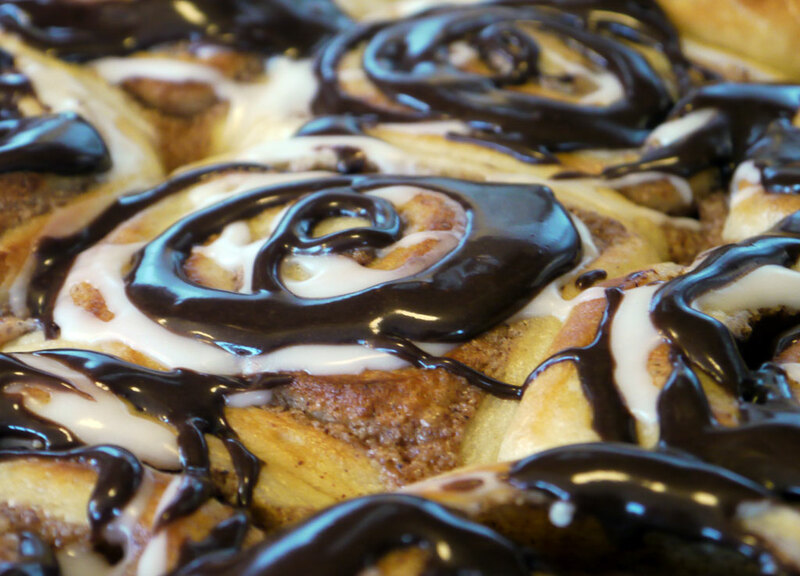 They are not as sweet as regular rolls.